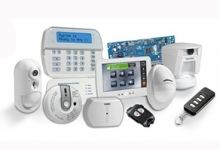 Digital Security Controls (DSC), a division of Tyco Security Products, has launched a new reduced pricing program for professionals who want to demo and showcase smart home technology, including automation and security systems, within the home. This two-tiered program launches at a time of growing consumer interest in smart home technology. Features of the program include home security and automation packages including lighting, temperature control and appliance control with the help of Z-Wave smart sockets and DSC’s PowerSeries Neo scalable hybrid wireless platform. “The introduction of these programs provides builders and their security installation partners with convenient access to the latest smart home solutions, which is what savvy home buyers are asking for today,” says Tim Myers, product line director of intrusion, Tyco.